It is vital to ensure you have the right fire extinguishers at your place of business, as this is something that will provide greater protection and could even help to save lives. 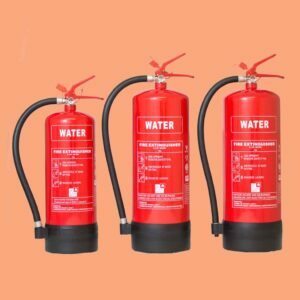 There are various different options available when it comes to fire extinguishers so you need to determine the ones that you require for your business premises. Some of the options you can choose from include water fire extinguishers, CO2 extinguishers, spray foam extinguishers, dry powder extinguishers, and wet chemical fire extinguishers. Of course, it may be difficult to determine what type and how many extinguishers you need for your business premises. This is something that can vary from one place of business to another. If you are struggling to determine what you need in terms of extinguishers, you can turn to our experts to help and advice. We can provide you with free advice on the options that will be best suited to your needs and we can even come out to carry out a site visit so we can get a better idea of your specific requirements. By making sure you have the right type and number of fire extinguishers at your place of business, you can further boost protection and security. You can be certain that all our fire extinguishers offer the highest quality and all are manufactured in the UK and are approved to BS EN3 with the British Standard Kitemark. If you would like to find out more about the wide range of fire extinguisher options we provide access to, simply get in touch with our friendly team for more information. This type of fire extinguisher is used with fires that involve the burning of paper, wood, and fabric, which are known as Class A fires. With this type of extinguisher, you can more easily and efficiency put out a Class A fire at your business premises. Some fires involve electrics and flammable liquids. To deal with this type of fire more efficiently, you need to have a CO2 fire extinguisher. When you purchase this type of extinguisher from Victory Fire, you can choose from either a 2kg or 5kg option with the CO2 fire extinguisher. These fire extinguishers are very versatile, as they can be used on both Class A and Class B fires. If the fire involves flammable liquid such as petrol, this type of extinguisher is ideal. When you use one of these, you can put the fire out with the foam from the extinguisher, and this reduces the risk of the fire reigniting. 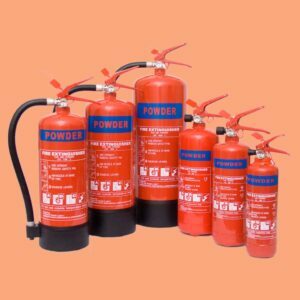 If you want something that can work with Class A, B, and C fires, dry powder extinguishers are the ideal choice. These extinguishers are able to deal with all sorts of fires including those relating to electrical, gases, flammable liquids, and even vehicles. You can select from a variety of different extinguisher sizes when you purchase dry powder extinguishers from Victory Fire. If a fire erupts because of product like fat and cooking oil, you have a Class F fire to deal with. These wet chemical extinguishers are idea for this type of fire. The fire can be put out quickly with this type of extinguisher and it is designed to ensure that it does not ignite again. Some businesses want to be able to enhance safety while also adding a touch of elegance in terms of design. If this is something that you want to do, you can benefit from our beautifully designed, superb quality chrome fire extinguishers. It is also important to ensure you have fire blankets at your business premises, as these provide a simple and effective means of putting our small fires. With Victory Fire, you can select from a range of fire blanket sizes to suit your needs. Free Site Survey & Quote. Please Give Us a Call.